Today (Monday 20th February), a group of us are formally launching a new campaign. As the title of this post suggests, we are campaigning to #saveFOI. This week sees the beginning of the long heralded post-legislative scrutiny of FOI promised by the Coalition Government last year. On Tuesday morning, the first witnesses, including the head of the Campaign for Freedom of Information, Maurice Frankel, will be appearing before the Justice Select Committee. Last week the Committee published the written evidence that it has received. What is striking about this evidence is how many public authorities have called for restrictive amendments to the Freedom of Information Act. Some have called for charging to be introduced. Some have suggested that the cost limit for answering requests should be brought down, so that more demanding requests can be refused. Others have even suggested bringing in whole new exemptions for information that they hold. This comes hot on the heels of comments from the outgoing Cabinet Secretary Lord Gus O’Donnell who has been openly critical of the Information Commissioner’s decisions in respect of Cabinet minutes. Others will be aware that our former Prime Minister Tony Blair considered himself a “nincompoop” for introducing FOI. There have been plenty of others queuing up in recent months to add their voices of complaint to the chorus of disapproval of this legislation, only 7 years after it came into force. It is hard to think of another requirement on public bodies that attracts such venom and open hostility. And these views are diametrically opposed to the views of most people outside the public sector who welcome this important tool for holding public authorities to account. And yesterday, writing in the Observer, the Information Commissioner himself made it quite clear where he stands. He dismissed Lord O’Donnell’s criticisms, and dispensed with suggestions from universities that they need a whole new exemption for research data. Nevertheless, the mood music suggests that there is a desire to contain this young legislative upstart. Some of us even inside the public sector feel very strongly that to do so would be a backwards step. Yes, some individuals abuse the right to access information. Some requests are expensive to answer. It can feel personal when a request affects your work. But the overall benefits, whilst difficult to quantify in hard numbers, far outweigh the problems. It has forced public authorities to open up in a way that would have been unimaginable a decade ago. It has allowed groups from protesters against library closures to disability rights campaigners to make their case to Government on something approaching an equal footing. It has exposed unfairness and inequality in our country. I believe it is starting to make an impact on the effectiveness and efficiency of some public authorities. In short, it makes the UK a fairer country to live in. And the UK doesn’t exist in isolation. 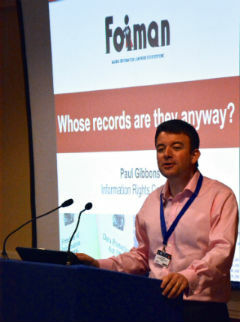 Countries across the globe are adopting FOI legislation. As Nigeria and the Philippines debate the opening up of their governments, is it right that the UK can be considering reducing the rights of its citizens? So we are standing up to make the case for FOI this year. And we want as many people as possible to join us. So please take a look at our campaign website and consider how you can help us to #saveFOI. I have mixed feelings as I support the idea behind FOI. However, I currently work in the public sector in a department that has had big cuts and is probably going to shrink in size over the next few years. FOI requests take up a lot of valuable time and keep staff from actually getting on and doing their main job. It is no surprise at all that some bodies want charging introduce. I have now had a quick look at the responses to the scrutiny panel – there seems to be contrast between member of the public and public bodies. I would be surprised if public bodies were not able to recover costs from journalists and businesses at the very least. Once wonders if journalists have dug themselves a grave – almost every public body criticises them. Mozo – I too understand why public authorities – or some at least – want to charge. I get that it’s about resources. I’m not a conspiracy theorist. 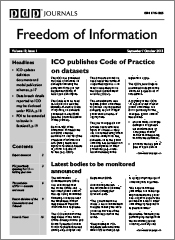 But the trouble is that all the focus on the cost of FOI usually fails to consider the benefits. And the antagonism to journalists and other groups only serves to reinforce the impression that public authorities have something to hide. 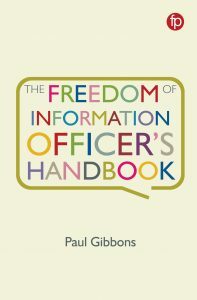 Why focus on FOI? Lots of other services cost money too. Should we stop answering all correspondence? Or ignore complaints? Should we reduce the number of people who can vote in elections because elections are expensive? I just want to highlight the fact that we need to think carefully about changes to FOI and our motivations in wanting them. Why is FOI not seen as part of the job? Do the people who pay taxes (business and personal taxes) not have a right to ask questions? Whatever the organisation, FOI is part of the public service. I suppose the issue is that Government is cutting funding to a lot of public bodies whilst at the same time putting the burden of FOI on them without providing any specific funding from it. There is a common theme amongst the consultation responses that many departments are having to take away resources from their main job to fulfil FOI requests. The trend seems to be that FOIs are increasing and a large proportion are from the press/commercial enterprises / spurious – which is probably why public bodies seem them as a burden with little benefit. The way our body works is that we have a central DPA and FOI dept but FOI requests have to be carried out locally. So whilst we have dedicated FOI staff there is still significant costs that are maybe not obvious – and that is the many staff spread throughout the body fulfilling different FOI requests. Our department provides FOI requests but I do not think there is that much benefit to *US* in our department though I do not doubt the FOI has probably shaped public services (in perhaps a limited) way for the better as people are more accountable. Given that one council claims they have spent £800k on FOI and a University claims to have spent £250k on one case I would be amazed if the cost of FOI in general was not closer to 100m than the 40m figure touted. I am not sure if the consultation has enough responses. I think there should be more from more public bodies.